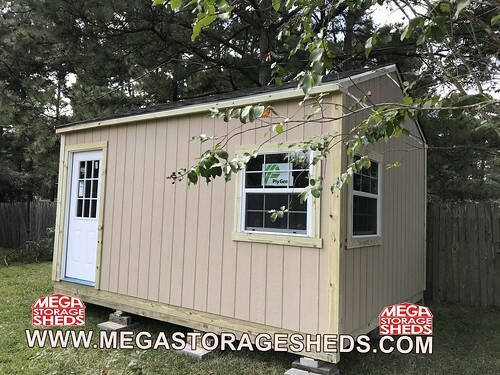 Our hurricane kits are designed to help resist hurricane strength wind gusts, it is UNEVITABLE for a hurricane not to damage your shed. Hurricane prone areas generally require use of hurricane kits per: HOA’S, city permits and or regulations. We carry 2 types of kits below is a list of included items in each category. 4) 30 in. anchors in each corner which attach to building with a metal strap, H-2.5 Strap Ties on each stud to tie in both top and bottom plate, H-2.5 Strap Ties secure top plate to rafter. 4) 30 in. anchors along each length side of building, which attach to building with a metal strap, H-2.5 Strap Ties on each stud to tie in both top and bottom plate, H-2.5 Strap Ties secure top plate to rafter. 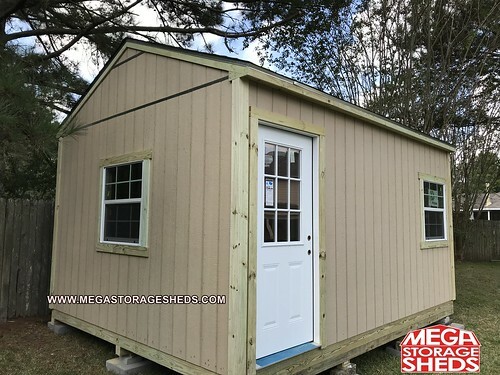 Strappings galvanized – certified mobile home “iron root” ,Galvanized Strap, Marked and Certified. Conforms to NCSBCS A225.1 (ANSI A119.1) and HUD specifications for mobile home applications. Minimum tensile strength of 5,000 pounds. 11/4 inch W.
Twin Disk Anchor for clay and other hard soil. “3/4″” ROD x 30″” Long – Double bolt head with twin 4″” helix.